Unlike fiberglass insulation, foam insulation resists compression (which diminishes R-value), can't be damaged by moisture, and can form an air barrier to provide additional energy savings. The basement plays a major role in a home's overall energy efficiency and comfort. Whether you use your basement on a regular basis or just visit this space occasionally to store and retrieve different items, it's smart to make this part of the house as energy efficient as possible. The two main strategies for improving energy efficiency in the basement are air sealing and upgrading basement insulation. The purpose of basement air sealing is to seal the leaks around the perimeter of the foundation where a great deal of outside air can enter the basement space. If the basement has an exterior door, this is also a major air-sealing target. Dr. Energy Saver has the experience needed to fix these key areas of basement inefficiency. Contact your local dealer to have a tried-and-tested energy expert inspect your home for basement insulation needs! The purpose of basement insulation depends on where the insulation is installed. In the past, many builders insulated the basement by installing fiberglass batt insulation between the ceiling joists in the basement. Unfortunately, this approach doesn't actually insulate the basement; it insulates the living space above the basement. By insulating basement walls instead of the basement ceiling, the basement space is brought inside the home's building envelope. The basement becomes part of the building's conditioned space, which means that it will be more comfortable. Basement wall insulation also protects hot water lines and HVAC ductwork in the basement from cold winter temperatures that compromise the performance of your hot water and heating systems. Rigid foam insulation consists of boards made of solid foam insulation and covered on one side with a radiant barrier. Rigid foam boards are attached to basement walls to seal and insulate the space. 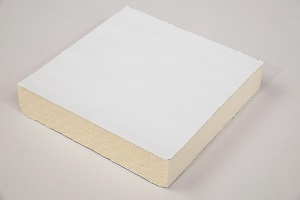 Rigid foam is ideal for the basement environment because of its water resistance and durability. Rigid foam won't be damaged by leaks or mold, ensuring you have a long lasting solution for your home. Our experts will ensure you get the right insulation to have best results in your home. If you have issues with a cold basement that affects your home's comfort, we can help! Dr. Energy Saver will perfectly employ the products needed to insulate your basement walls and make your house more comfortable and efficient. Call your local Dr. Energy Saver dealer or click below to get started today!